How appropriate that the same month that A Novel Idea is hosting their Love Triangles 101 event, that this topic would come up! 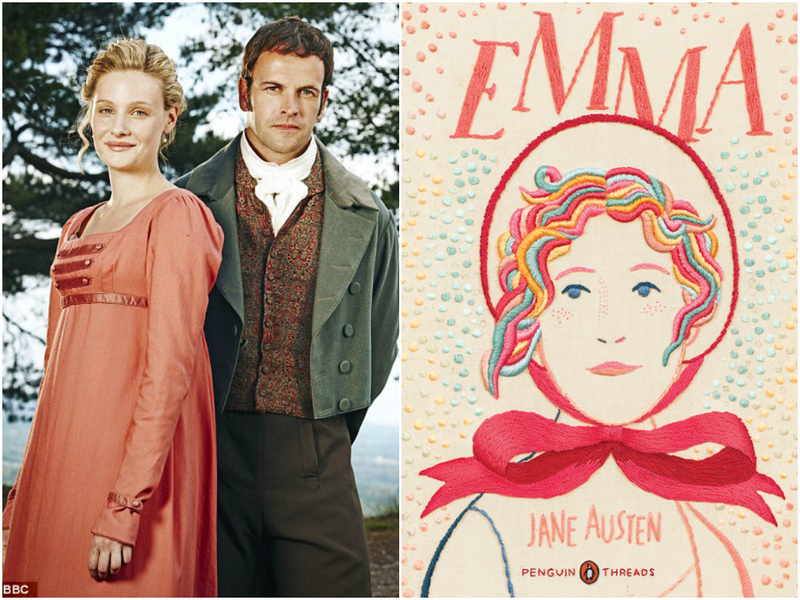 Instead of focusing on a modern-day story, however, I thought I ought to pay homage to The Original Queen of Love Triangles (this is not official, but I thought it sounded good) Jane Austen, and of her most convoluted triangley stories, Emma. I agree, there seems to be something different about Austen’s love triangles. I also appreciate how funny Emma is; I think that’s a large part of the reason why I enjoy it so much. Yeah, she’s definitely one of my favourite heroines. Hmm, now I really want to reread Emma again. Maybe this Christmas I’ll set some time for her and mangled web. Love Emma. This 2009 adaptation is possibly the best adaptation along with the retelling Clueless…just soo funny. And yeah, it’s filled with love triangles and love squares that just overlaps each other. I need to see Clueless; I still haven’t after all these years! Love the diagram! Definitely better with pictures. 😀 I haven’t seen Emma in awhile, so I didn’t remember how complex the love triangles are! After thinking about so much love triangles in YA for Love Triangle 101, it’s nice to have such an intriguing and different one to think about! 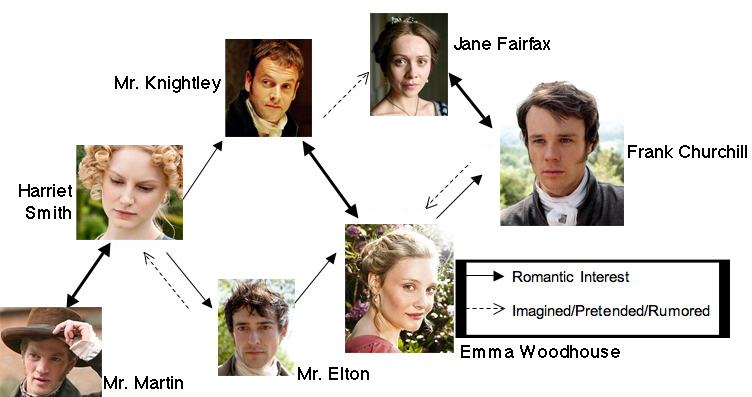 Yes, Austen love triangles are so much better than today’s YA love triangles! I’m actually reading Emma right now. I am half way through and can’t wait to see how it ends. I haven’t scene this mini-series but i am happy to see characters come to life on tv/film. You’ll have to check it out after you finish the book! I’m curious as to how they compare; I’ll read it one day! I loved that Emma adaptation but my favourite Austen flick will always be Sense and Sensibility! One of my fave love triangle adaptations is Rebecca (Hitchcock movie) because its just so atypical… and kind of creepy! I don’t know if I have ever thought of Rebecca as a love triangle, but I suppose it is! It definitely a creepy one at that! I LOVE Emma. It my absolute favourite of Austen’s works. I find Emma such a different, but such a relevant character – every group of friends probably has one. I watched the adaption before reading the book and fell in love with Mr. Knightly and usually I’m pretty good at figuring out who is going to end up with whom but him (and the story in general) I had no idea. I might just go watch it again now, haha! I know, thinking about Emma makes me want to watch it! This version is like 3 hours like though, and finding that kind of free time is rare! But I love Mr. Knightly as well; he’s such a gentleman! I agree; they really should! I can’t say I’ve ever been disappointed with who ended up with who in an Austen story, unlike some modern-day stories with love triangles! Check it out if you have the chance! I just adore it! I definitely will 😀 I love the film adaptation.